Gaming has been an interesting and addictive way to relax and have fun since forever.It has been an important part of every culture and many countries have their national games as well. Gaming not only enhances our physical capabilities, but also our mental capabilities since we have to use our imagination and brain to choose every next move.Games are a form of social bonding Our games have evolved with the rest of things as time has passed. The gaming world for humans started with “ Knucklebones” and dice games and now we have reached the era of video games. Video games are of various types like action games, song games, arcade games, etc. They are available on CDs, app stores and can be also downloaded from various websites. For those who are interested in sharing the gameplay experience on YouTube or other video sharing platforms, editing the gameplay video with a reliable video editing software is one of the most important thing. Besides the normally trimming and cutting, you may also need some cool visual effects, filters, overlays and titles as well. Here, we recommend you to try Wondershare Filmora9 (Latest version 9) to edit your gaming videos. Here is a list of top 8 websites to download games on your PC. This website for downloading games is developed by Valve Corporations and has been functioning for the past thirteen years. Steam is considered to be the largest digital distribution platform for video games up to date. They have over a thousand games, from indie games to action games, they have everything available for their players. Furthermore, steam operates in 28 languages. Games at Steam allow single player gaming as well multiplayer gaming. You can have fun with friends by challenging them over a game and have fun while relaxing at the same time. You can challenge a local multiplayer as well as challenge someone online. This gaming platform allows the players to stream videos of games in the form of movies, demos, tutorials or episodes. The categories include anime,comedy, drama, horror, action and sci fi. The platform offers the players to socially connect, meet millions of new people, form clans and chat during the game through their community. Steam is available on Windows, Linux and Mac. This gives the players, the freedom to buy a game once and play anywhere and at anytime. This digital platform allows you to create new games through the ‘Steam Workshop’ . It allows animation and modelling of the game, sound production, photo editing, game development and various other features. You can also give gifts to your friends and trade items as well. It has a variety of games and allows early access to some games for a limited time. You can play with an automated player, with your friend or with a stranger online which enhances the fun. It is available in 28 languages due to its built in translator so it is easier to use and understand by people all over the world. It is easily accessible and easy to download. Some of the games are rather pricey. The games available for free lack variety and have very less features to incite excitement in a player. GOG.com is operated by GOG Limited. It was formerly known as Good Old Games. GOG.com is a Cypriot digital platform for video games and movies. These movies and games can be downloaded and purchased online. You can install the game with just one click and you do not have to install a special client to run games or download. The game will always be updated with new features automatically, but if you do not want to update your game then you can chose to stop the automatic updates. You will never lose your game progress because the game will be saved in the cloud automatically and will stay synced with all of your devices. The games installed from this platform do not need an internet connection to run. You can even play offline and the game will still be backed up. If you do not like the new game update then you can chose to restore your prior update. It is easy to use, download and access. The games are not pricey and GOG.com also puts many games up for occasional sales and accepts gift cards as well. It has a large variety of games with excellent features. It is compatible with Mac, Windows and Linux. The games are old and not many new games are introduced. It does not have multiplayer gaming features. G2A.com is considered to be the fastest growing global digital marketplace. It has over 12 million customers and 2 million sellers all over the world. G2A.com acts as an intermediary and connects the buyer and the seller. It does not sell or purchase games itself but only delivers different platforms for other to sell and buy digital products. G2A provides all sorts of platforms to its customers like XBox, Steam, PSN, Origin, Apple, Gameforge, Battlenet, Uplay, GOG etc. This digital marketplace contains various genres like action,arcade, games for children, puzzle, simulation, song games, racing, sport, etc. Gift cards for different platforms are also sold here. This features allows the customer to choose their favorite hero or a legendary weapon from their favorite game and then G2A will print it, color it and ship it to your doorstep. This features allows you to earn real money for promoting G2A.com products to other gamers worldwide. No registration fee or investment is required and you can do this from your home. G2A.com offers a home based job at with a competitive salary so gamers can earn and play side by side. A lot of new projects are introduced so the excitement never dies. The site can be accessed in more than 20 languages. The site is not very well protected and is exposed to scams. Origin is a digital distribution software that promotes online gaming. It has been developed by Electronic Arts, a company behind many globally successful games. You can purchases games on your PC as well as on your mobile. Origin provides its users with many social features like profile management, networking with friends through chatting and video streaming via TwitchTV. You can also share your game library and community integration through social media and networking sites like Facebook, Xbox Live, PlayStation Network, and Nintendo Network. It provides a large variety in games from PC games to Fifa and even classic games like Plant Vs Zombies are also available. It offers the best and cheapest deals and also puts up a few games for sale occasionally. It provides great game streaming features. It is developed by a renowned and successful company so it can be trusted. There ‘on the house specials’ are appreciated by a lot of gamers which allows them to play a paid game for free every now and then. It has a lot of updates and takes unreasonable amount of time to install and update the software. Customers have complained that they provide expired discount codes. Customer service need to be improved as it is not very responsive. PC games is an online gaming site. You can purchase and download various games from this site. It is operated by EA games. PC games contains various genres like action,arcade, games for children, puzzle, simulation, song games, racing, sport, etc. It allows you to buy the games from origin.com which is also operated under EA games. It has a community forum which is available to answer your questions 24/7. It is easy to access and download. It contains one of the most interesting and addictive games. The quantity of games available is very less so there is not a lot of variety in games. Sometimes the site crashes and the games have to be downloaded from the start. It is developed by a British software company Ocean software. It has a large variety of games like action games, song games, arcade games, RPG, survival and fantasy games , etc. It provides networking features through its community forum where all the players can meet new people and chat even during gaming. It allows both single player and multiplayer gaming. The player can challenge an automated player, with your friend or with a stranger online which enhances the fun. It is not very well protected and hence exposed to scams. The games are not updated and old versions are still played. Some people use the community forum to harass other players and no action is taken regarding it. Softpedia is an online gaming site which provides the customers the facility to purchase and download games at a very reasonable price. Softpedia contains a large library of games of various categories like action games, song games, arcade games, RPG, survival and fantasy games , etc. It offers free game cheats and demos to the players. Its game application finder feature allows you to find the exact game that you are looking for. The games are available for Windows, Mac, Linux, Android and Drivers as well. The games are not pricey and are available at a very cheap price. The community forum is barely used. The website is not updated so there are no new games available. The games are not automatically updated. Skidrow reloaded is an online gaming site from where you can purchase and download games. The website is not updated very well so this site does not provide its user with enough features. The games can be downloaded through torrent, multilinks, katfile, go4up, hitfile, turbobit, mirrorace, jheberg, downace, userscloud and various other links. It provides its customers to request any games to which they need links for downloading. It allows users to request games. It provides a lot of links to download a game. The website is not properly maintained. There is no community forum. There is no such variety in games. The games are not of high quality. Google play is operated by Google for android operating system and it has been functioning for the past three years.It was formerly known as android market. Google play contains millions of apps of various categories so there is something for everyone. Google play provides a large range of categories of games. Every game is easily downloadable but it depends merely upon your internet connection. The purchasing methods are through credit cards and the procedure is very easy. The platform allows everyone and anyone to sell their games. Sign up through your google account is necessary to get the access to these features. It is preinstalled in all android supported devices. It contains a huge collection of unique games. Since everyone and anyone can access it without paying any registration fee, it is exposed to scams and harassment. A few games do not function and keep crashing. It has thousands of free and paid games. It has thousands of games of various categories. The games are very easily downloaded. The games can be even downloaded on your android mobile. You can access this site on your mobile by just scanning a QR code. The site is easily accessible. The games are cheap and easily downloadable. The site does not have a community forum. The customer service is not responsive. The downloading process is slow. 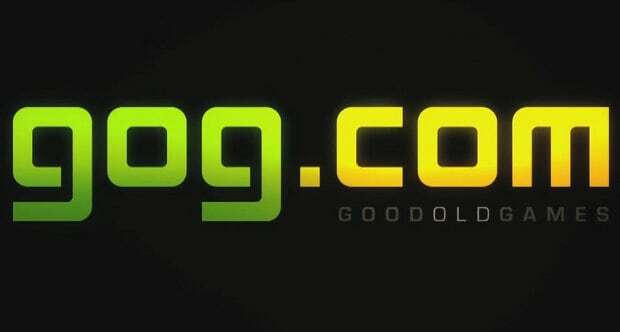 It is an online gaming site where games are handpicked everyday either for free or for a reasonable price. Contains a large library of games of various categories. You can promote your games also by using the ‘promote your app’ feature. It is easily accessible and is easy to use. The site is updated everyday so new games are available each day. Multiplayer gaming is not available. Above are the top 10 websites to download games, I hope you will get the interesting games and have fun when playing it. For making a great gaming video, you can also add some interesting visual effects and elements to the video.